Hosted by the Gene Siskel Film Center, the month-long Chicago European Union Film Festival (CEUFF) featured 15 films directed by women (15 out of 62 = ~ 25% = a record high for this event). FF2 Media has compiled “Best of the Fest” lists from three Chicago team members, recommending films ranging from food documentaries like Cooking up a Tribute to holiday heartwarmers, A Holy Mess and All the Best. Kudos & thanks to the Gene Siskel Film Center! Lone Scherfig’s Their Finest (from the U.K.) was by far the best of the fest at the Siskel Center's month-long 2017 Chicago European Union Film Festival, and Iciar Bollain’s The Olive Tree (from Spain) was another favorite. However, Amanda Kernell’s Sami Blood (from Sweden) and Giedre Zickyte’s Master and Tatyana (from Lithuania) will likely only appeal to the most avid cinephiles. Their Finest. (GEP: 5/5) This outstanding feature film follows the collaboration of British screenwriters in 1940, trying to survive the war and help others get through it the best way they know how — through the magic of movies. The comedy, the period and the poignancy with which the story is told are just a few of its incredible assets, but its pace and its acting are what make it truly extraordinary. Sam Claflin and Gemma Arterton are understated and a joy to watch, but Bill Nighy's comedic timing takes the film and runs away with it. A wartime film about making a wartime film doesn’t sound like the most appealing premise, but it is absolutely mesmerizing. 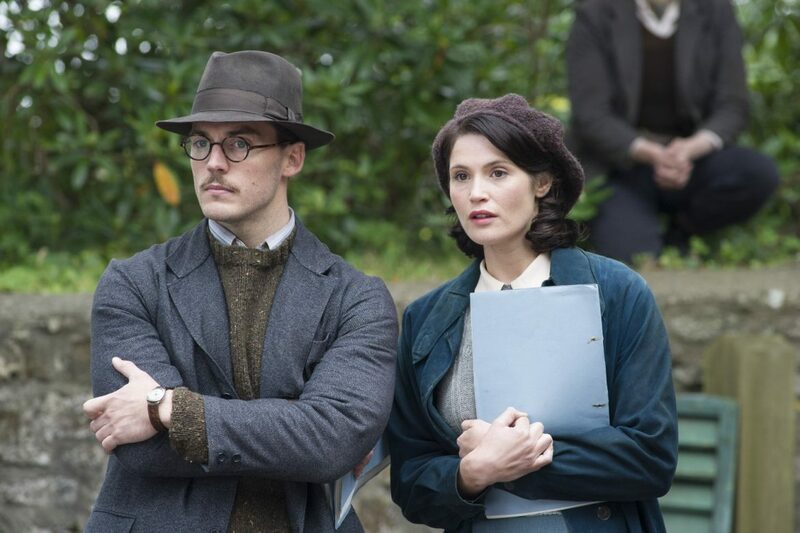 Arterton’s role as Catrin Cole, a female writer in a man’s field, provides an admirable voice for women and is proof that her counterpart (the excellent Claflin) is wrong when he says, “girls don’t want to be the hero, they want to have the hero.” Their Finest is proof that some girls want both. The Olive Tree. (GEP: 4/5) A young woman tries her hardest to recover a family heirloom of a different variety — a centuries-old olive tree that means a lot more to her beloved grandfather than just roots and branches. Touching and sad, anyone with a family history can find a reason to relate to this beautiful little film, which takes us on a painful journey with Alma (Anna Castillo), who wants nothing more than to take back something that matters to her, even though it often feels impossible. The value of nature is another important theme Bollain draws on in this narrative, and it's fitting for our times — sometimes it feels like the commercial world is draining all the oxygen from the quieter corners of the world. If you just want to take a break from it all and sit beneath the olive tree, Bollain’s feature allows you to do that for an hour and a half.